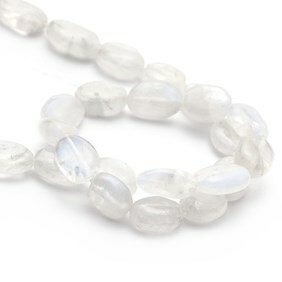 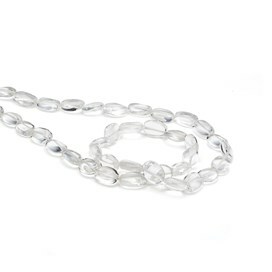 These gorgeous rainbow moonstone oval beads have subtle flashes of blue and beautiful iridescence. 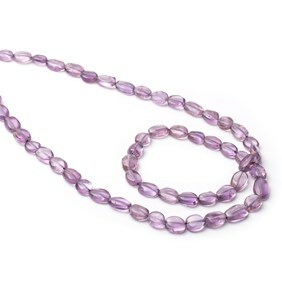 These are truly stunning beads and as they are so versatile they can be used in endless combinations and with a multitude of other coloured gemstone beads. 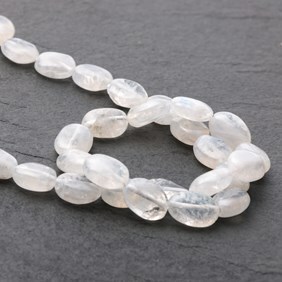 Maybe you can combine with black onyx or hematine for a monochrome feel or add to peridot and rose quartz for a really feminine touch. The careful hand cut facets really emphasise their blue flashes adding a beautiful sparkle. 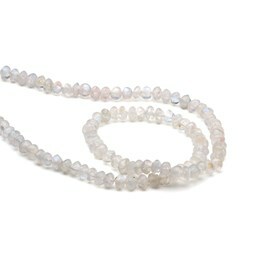 A 40cm strand contains approximately 35 beads depending on size. 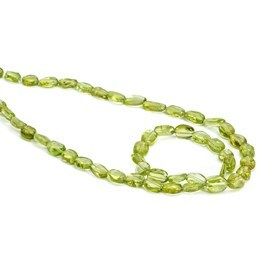 When you buy these beads by the strand you save approximately 35% compared to the loose bead price!